We design, build and sell new homes and neighbourhoods where you and your family will be proud to call your home. Hodson Developments are one of the U.K.’s leading Housebuilders. We design, build and sell luxury new 1, 2, 3, 4 and 5 bedroom houses and apartments of outstanding quality in great locations. Whether you are a first-time buyer looking for your first purchase or a family looking for a bigger home, whether you love the bustle of city life or the serenity of the countryside – at Hodson Developments we have a large selection of superb new homes and apartments to choose from. Founded over 30 years ago, Hodson Developments have designed, built and sold hundreds of residential developments in the South East and London. This year and over the next few years we will be building 300 to 500 new homes annually on land currently in our ownership. We also masterplan and project manage the infrastructure works on our land which brings roads and services in to facilitate our future housebuilding programme. This creates well planned neighbourhoods or ‘garden urban extensions’ which includes homes, shops, restaurants, parks, schools and business facilities that are great places to live. At Hodson Developments we are involved directly in every aspect of our projects creating new sustainable neighbourhoods and communities that enhance the area, environment and the local economy. Using our asset management, planning, design, development and sales expertise we control each individual project from the land buying stage, through the planning process, design, construction and right through the sales and after sales phases. By operating the construction of our new houses on this integrated model, acting as both land owner and developer on all projects – it ensures we control every detail and create homes and places of real quality, designed to reflect their surrounding environments, whilst understanding the demands of today’s lifestyle by installing the highest specifications with a strong prominence on attention to detail. We only work with the country’s finest architects, engineering practices and construction consultants. 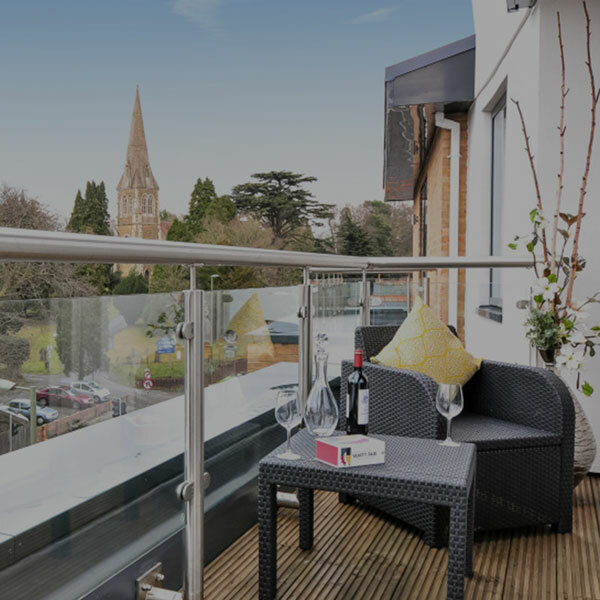 As a leading residential developer, we place huge emphasis on internal and external design excellence, using only traditional building practices and the highest of quality materials, fittings and the very latest fixtures – no matter what the value of the property. We abide by a corporate ethos of customer focussed delivery and consistently exceed expectations. Time and time again, our new Customers have been recommended Hodson Developments by our existing Customers. It is this commitment to building excellence, combined with our stringent customer care programme, which truly sets us apart. At Hodson Developments we only build homes of the very highest standards and above all a home that you will be proud to own. We focus on achieving a very a high quality and standard of design and build of our new homes and neighbourhoods. We create homes and places for people to live where they will be proud to call their home. We focus on providing a high level of Customer Service to our Customers – pre and post occupation. We focus on correctly managing and servicing our significant land assets for future housebuilding. We focus on finding new land opportunities. We focus on having a very solid financial base and business model. Hodson Developments will be designing, building and selling over 5,000 new homes in the next 10 years in a variety of great locations. Hodson Developments will also be planning and delivering new urban commercial areas including primary and secondary schools. Every member of our team plays a vital role in our success. This success is down to the commitment and ability of the people who work at Hodson Developments, so we understand the value of effective leadership and a strong team. With over 40 years experience in the housebuilding industry Alan Hodson founded and has led and directed Hodson Developments, earning a strong reputation for successfully building hundreds of quality developments throughout the South East of England and London. Under Alan’s guidance Hodson Developments is continuing to significantly expand, focusing on larger developments in great locations where we can offer excellent homes to all homebuyers, especially those purchasing on the ‘Help to Buy’ scheme, whilst continuing to optimise the potential of our land holdings. Thomas oversees the successful delivery of all Hodson Developments projects from post-acquisition of land, through the stages of planning, design and construction to handover of the new homes to our Customers. He is responsible for the complete day to day operations at Hodson Developments and is fully supported through our Land, Planning, Commercial, Technical, Sales and Finance Departments. Ultimately, Thomas ensures and has the proven track record that each of our projects is delivered in accordance with the objectives; building homes of the very highest standards for our Customers. Thomas is also a Company Director of the Hodson Group and holds a First Class Honours Degree. Nicholas is a Managing Director with over 40 years’ experience in the construction and development sector, 28 years at Director level, providing a complete range of management skills including Planning, Design, Land Purchase, Commercial, Sales and Marketing, Production, Customer Services, Health and Safety and general Managing Director functions. Nicholas has previously been Managing Director of Ward Homes, Barratt Homes and Taylor Wimpey and Interim Director of Ebbsfleet Development Corporation, which was set up by the Government. Nicholas is also the current Chairman of the Kent Developers Group. Rama is responsible for the Hodson Group’s finance function and oversees day to day finance operations. Rama has over 25 years’ experience in accountancy and finance with 12 of those years being within the construction industry. Rama has previously worked at one of the largest Chartered Accountant firms in London. Peter holds a BSc in Civil Engineering and is a Member of the Chartered Institute of Building (MCIOB) and of the Association of Project Management (MAPM). Peter has over twenty five years in the residential housebuilding and construction sector, with real focus on the promotion, negotiation and procurement of large mixed developments. His key skill and professionalism is to bring forward major projects within strategic land and planning portfolios, ultimately obtaining planning permissions which provide the regional business units with fully serviced land for development. Peter has previously held senior positions for national housebuilders such as Barratt Homes and Taylor Wimpey and leading global construction and asset consultants EC Harris (now Arcadis). Whilst at Barratt Homes Peter led their two largest regional major housing projects. Peter’s experience includes major infrastructure works and the management of engineering matters relating to the construction of major road works, earthworks, drainage works, pumping stations, mainline railway stations, flood defence schemes, bridges, retaining walls and ancillary works. Our Sales and Marketing Department is headed by Christine Alaimo. Christine has a wealth of sales and leadership experience spanning over her extensive career. Christine is involved at every level of the development of our homes from planning and inception to working with the architects on the design, house-types and site layout. Christine also signs off the specification of our homes and is responsible for overseeing the regional sales and marketing functions. Christine has previously worked in very senior positions for national Housebuilders. Starting at Berkley Homes, Christine has gone on to work at Sales Director level for Fairview Homes, Redrow, Linden Homes and London and Quadrant. Charles has worked on all of Hodson Developments flagship projects in a construction capacity. Being project location based, Charles oversees the build finish and delivery of all Hodson Developments new homes to our Customers. Charles’ commitment to very high standards and attention to detail, and by working closely with the Construction and Sales Teams, ensures that our finished product is always of the highest quality and ready for our Customers to make their home.